Your Mom wasn’t kidding when she said Bananas are good for health. Banana are super-healthy in nature. But you might only have heard about the Iron connection of banana. But that’s just the common fact which people know. Yes, bananas are very rich in iron but that is not the only health benefit of it. In this post, I am going to share the other important health benefits associated with banana. Read on to know them. 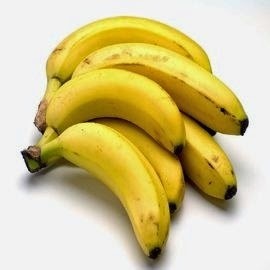 1-Bananas are super energy providers. 2-Rich in potassium which helps maintain proper water balance in our body. 3-Rich in soluble fiber which help in stopping constipation. 4-Bananas are great mood regulators, therefore increases happiness. 7-Regulates blood glucose levels which helps in suppressing cranky moods. 9-Helps in attaining flat belly.